Linda and I are in Sacramento this week for the National eXtension Conference. 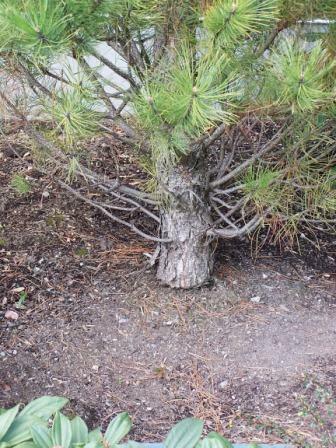 I will be presenting later in the week on the work that we have done on the SOME-DED-TREES project. More on that in later posts. 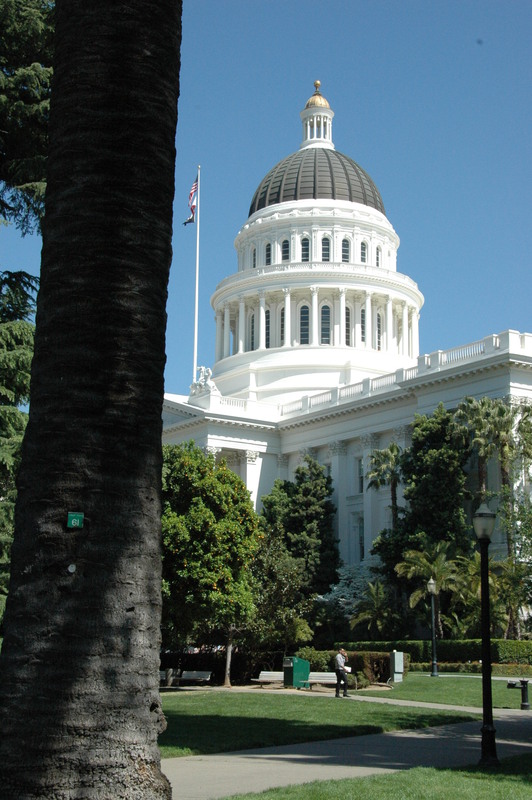 In the meantime, here are some photos from the State Capitol Park here in Sacramento. 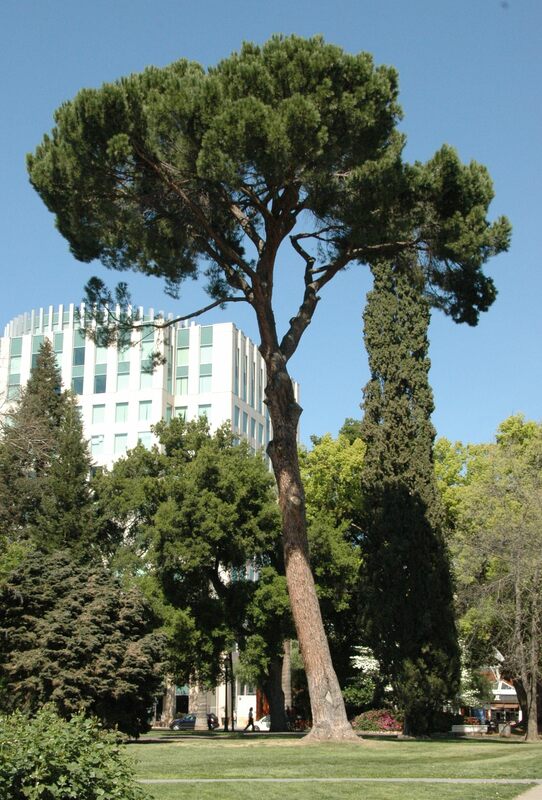 If you are ever in the area, I encourage you to check it out since the Park also doubles as an arboretum. 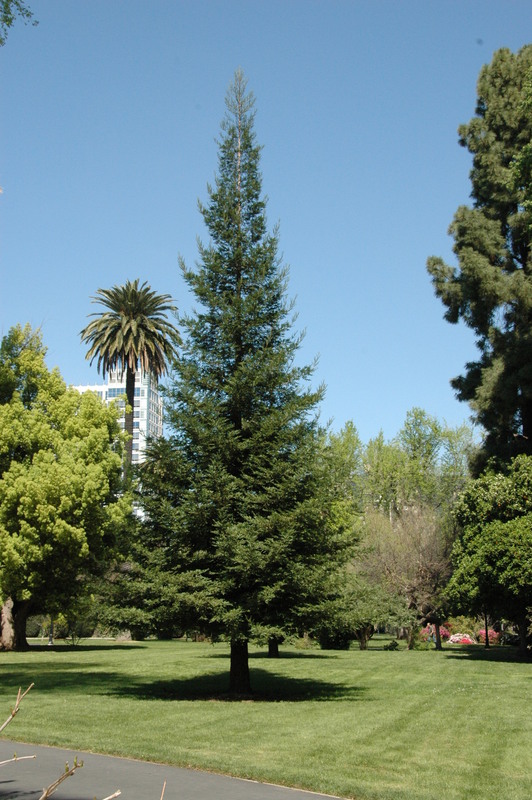 The combination of mild winter temperatures and irrigation allows for as wide an array of trees as you are likely to see on one location. 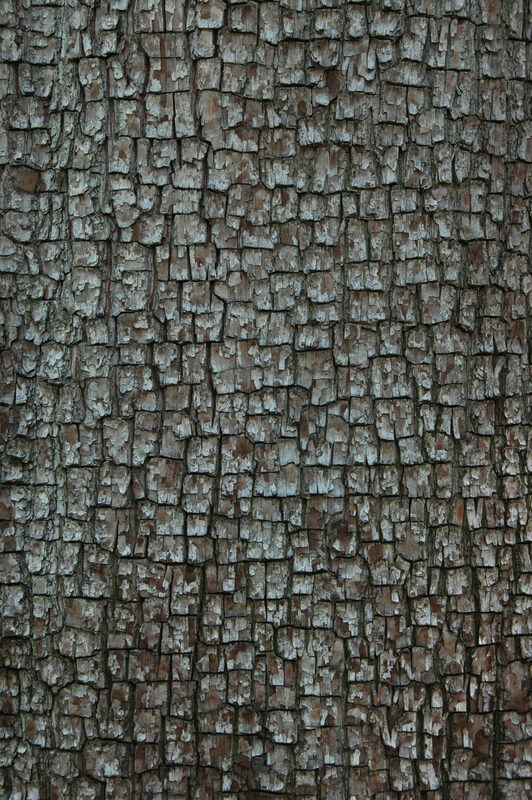 Many, but not all, of the trees have tags with common and scientific names. 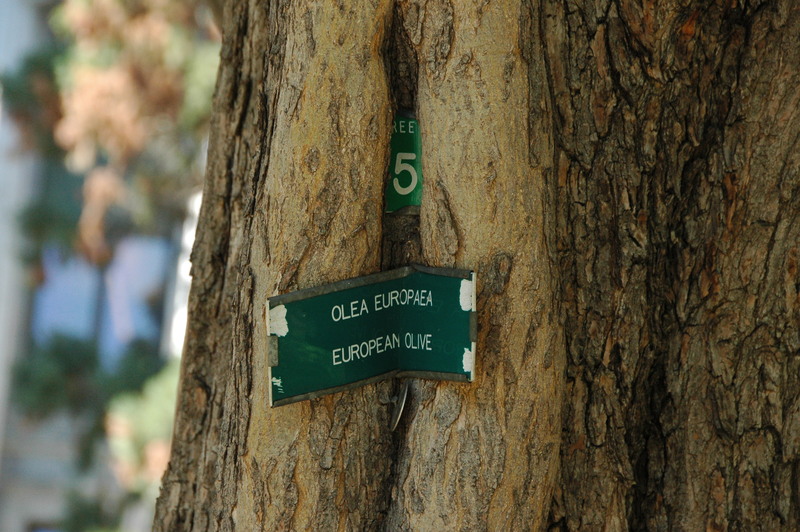 There are also numbered tags for a “Tree tour”. I have searched several sources for the tour map and came up empty. 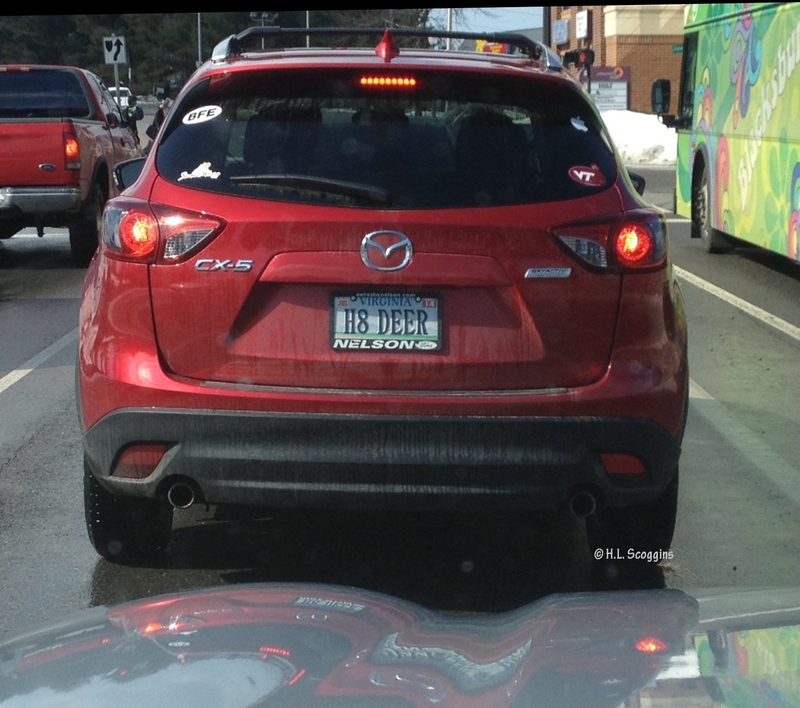 Judging by the condition of the tags and the number of missing tags, it looks like a forgotten project. If anyone has any insights, let me know. Or if you know an Eagle Scout in the Sacramento area, re-tagging and mapping would make a great project. 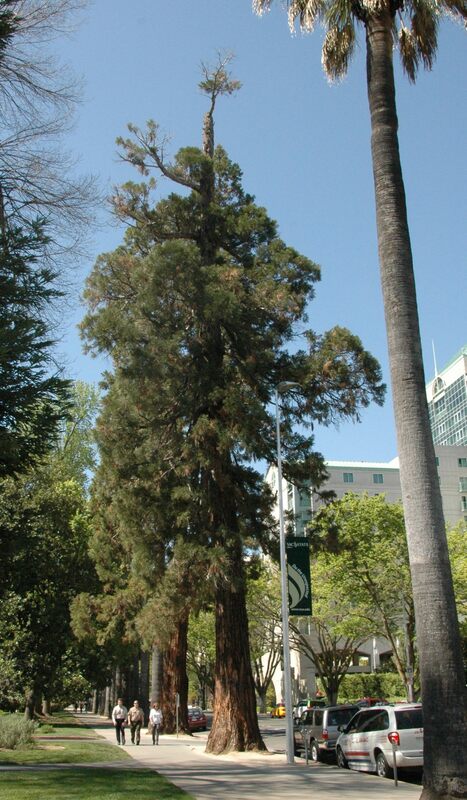 Giant sequoia (Sequioadendron giganteum) as a street tree? These actually looked like they were doing well and then hit the wall. Note the fading top. 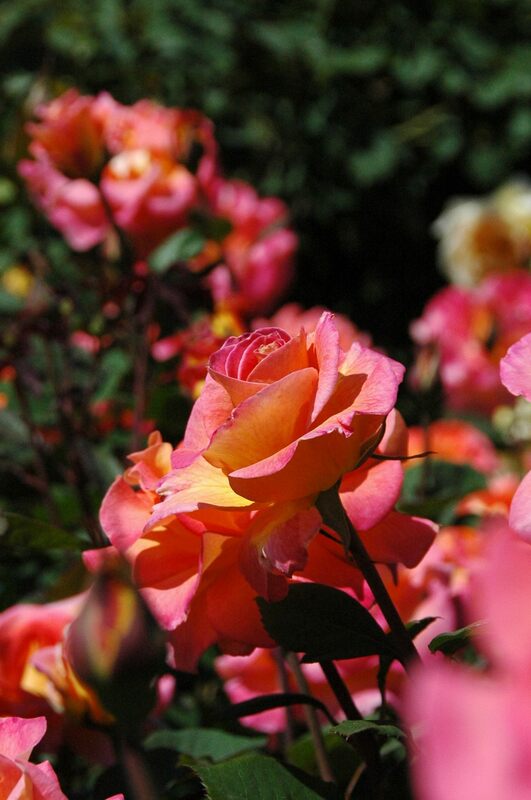 The park also includes a small rose garden and cactus garden. Just for Linda: Topiary at the hotel across the street. I received a comment over the weekend requesting an update on an article I posted back in February of 2010 (Wow, hard to believe we’ve been at it that long!) 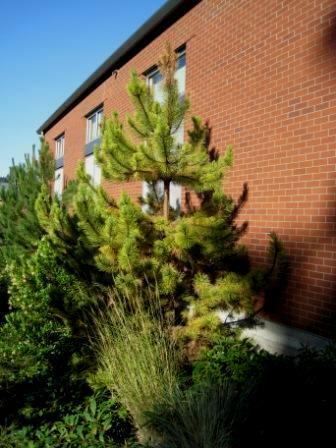 about FreezePruf, a product that is purported to improve freeze tolerance of garden plants. The ingredients and proposed mode of action of FreezePruf are described in my earlier post, so I won’t repeat them here. Back in 2010, there were no published studies available on the efficacy of FreezePruf; just advertising claims from the manufacturer and data that were included in the patent application. Since then, there have been two studies published on FreezePruf. One was authored Dr. David Francko at the University of Alabama, who lead the group that developed the product, and the second study was by Dr. Jeff Anderson at Oklahoma State. 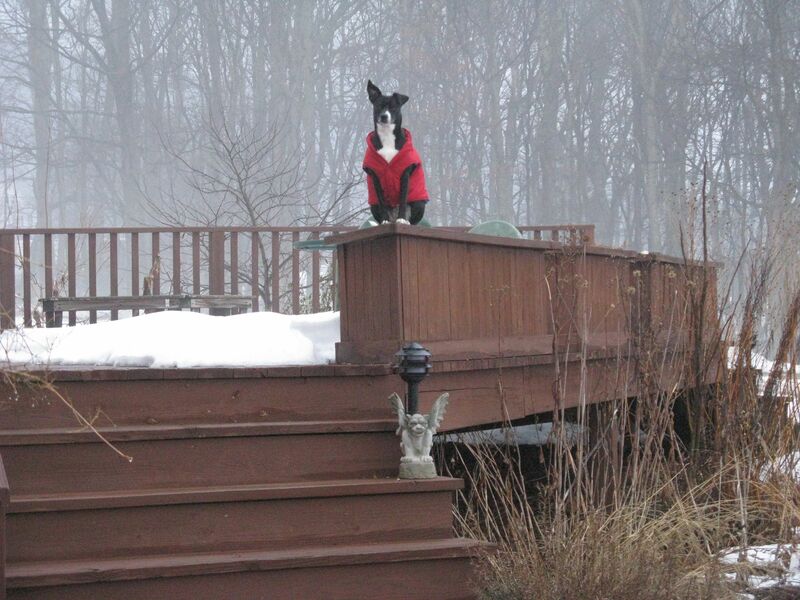 Francko et al. 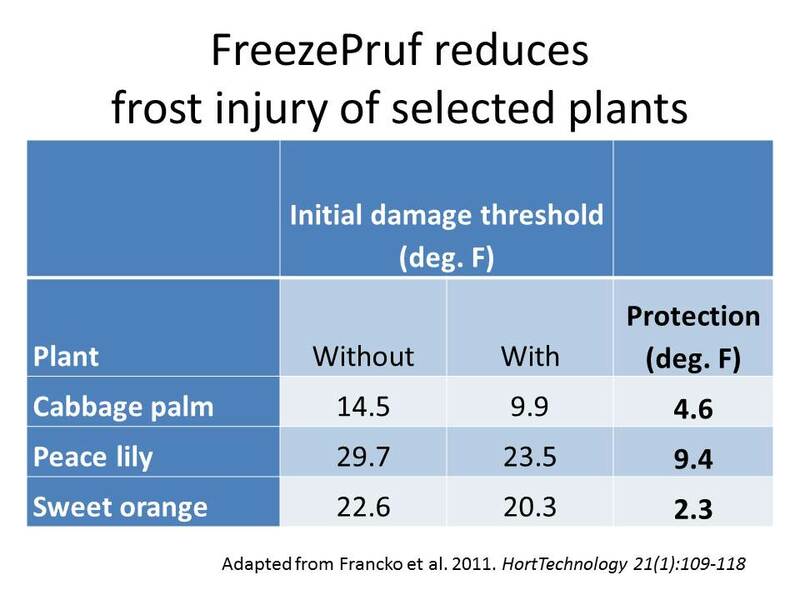 (2011) conducted a series of trials, mainly with palms, oranges, and other warm region plants and found that FreezePruf was often highly effective in reducing freeze injury. 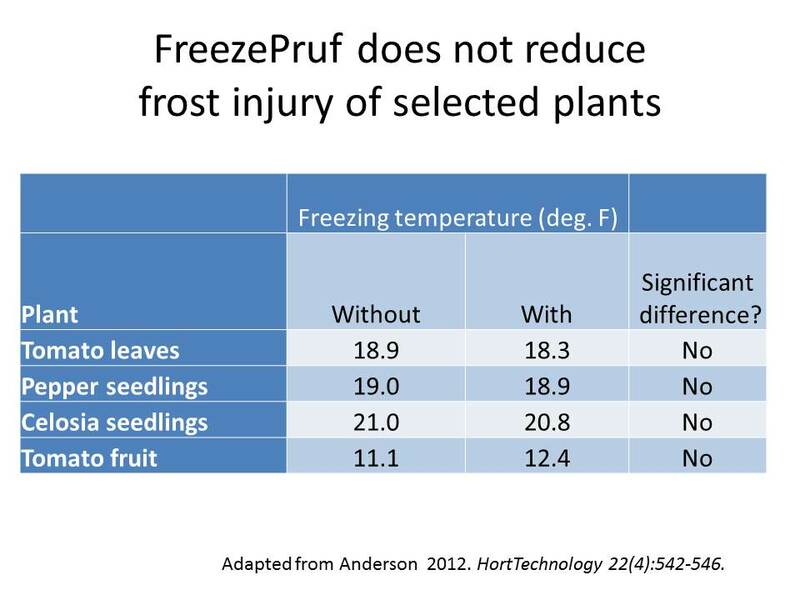 For example, the figure below suggests that spraying plants with FreezePruf can increase freeze tolerance by 2.3 to 9.4 deg. F. (Note: the authors’ also included two additional palms and two banana cultivars in this portion of the trial; I have simplified their table to show the two extremes and an intermediate response). Anderson (2012) applied FreezePruf based on label directions and found no change in freezing point depression in peppers, celosia, or tomatoes. 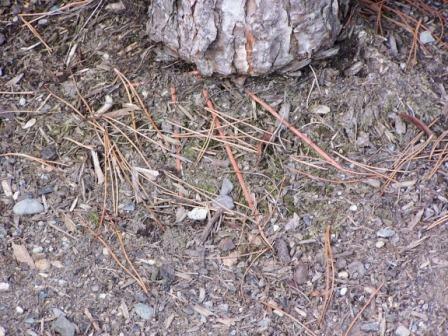 Anderson also found that Freezepruf did not improve cold hardiness of Bermudagrass stolons. So what gives? Is FreezePruf useful or not and why did the studies reach opposite conclusions? Anderson published his paper after Francko et al. but doesn’t offer a clear explanation beyond the use of different plant materials; with the exception of tomatoes, which were included in both trials but still gave different results. 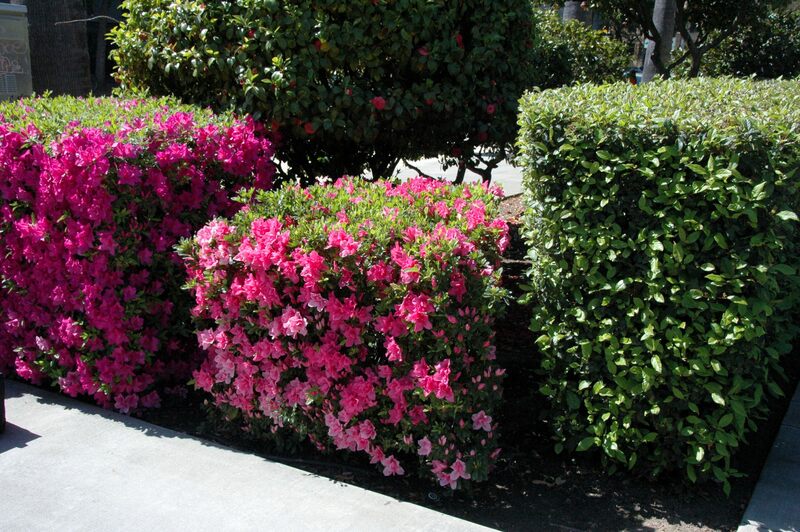 One possibility is that the spray may be more effective on perennial plants, especially on older leaves. For instance, in the Francko et al. 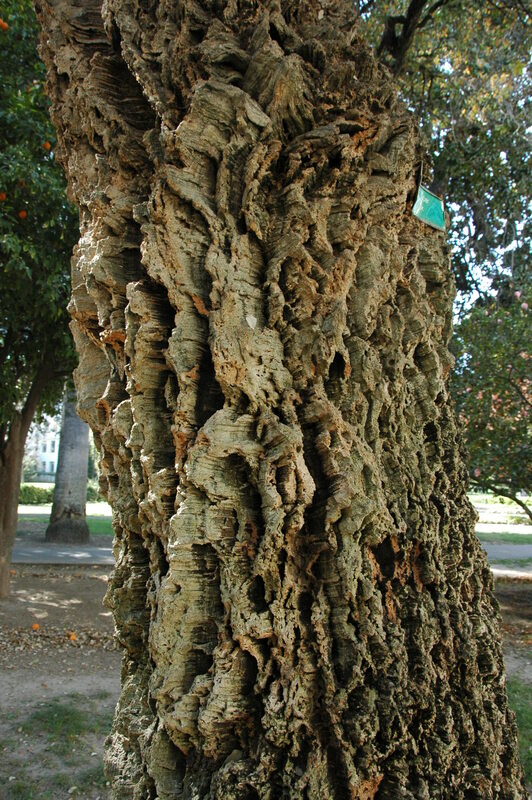 study they applied FreezePruf to young and old leaves on oranges trees and found a greater and more consistent improvement in cold hardiness on the older leaves than the new leaves. For those of us in the northern U.S., this suggests the product may be of limited use. Typically our greatest concern in protecting plants from freezing is early in season; right after we’ve jumped the gun and planted our annuals and vegetable plugs. Could FreezePruf protect your new petunias from that predicted 25 deg. F night? 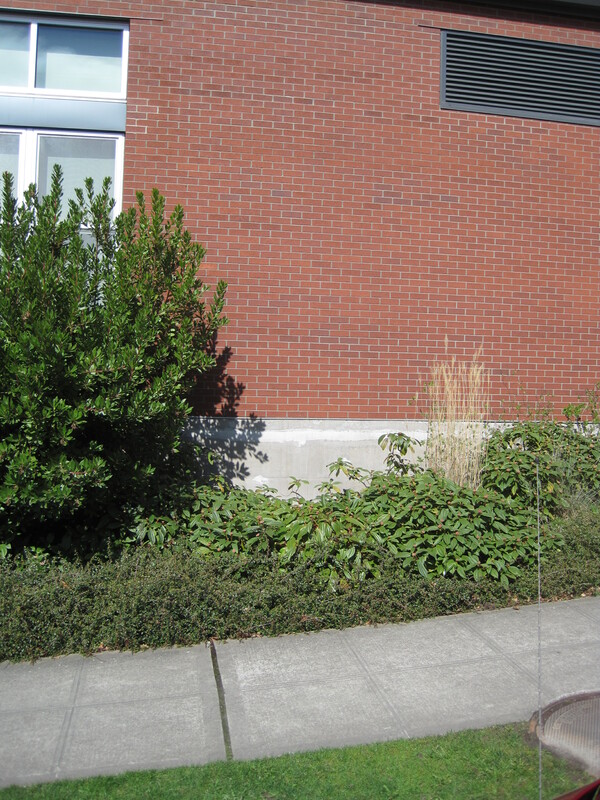 There is no clear answer in the data so I’ll stick with the tried and true and cover my plants with old bedsheets. Anderson, J. 2012. Does FreezePruf Topical Spray Increase Plant Resistance to Freezing Stress? HortTechnology 22(4):542-546. Francko, D.A., K.G. Wilson, Q.Q.Li, and M.A. Equiza. 2011. Topical Spray to Enhance Plant Resistance to Cold Injury and Mortality. HortTechnology 21(1):109-118. At a holiday dinner not too long ago, a relative suggested “You know, there may be something to the anti-immunization thing…” The words were barely out before I could feel my wife’s hand on my thigh in a futile effort to keep me calm. “Are you fricking nuts?” I shot back automatically. 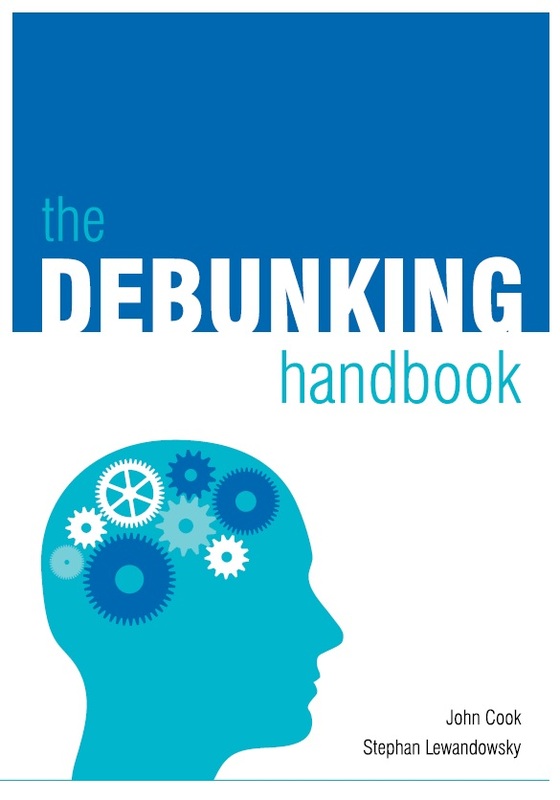 “The only reason Jenny McCarthy or anyone else can even THINK about not vaccinating their kid is because the rest of the herd already took care of business.” Fortunately cooler heads at the table changed the subject before the debate escalated to violence.